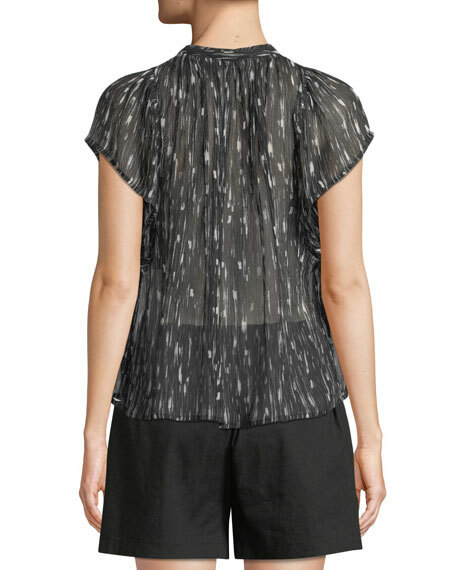 Vince "Brushstroke" top in silk. 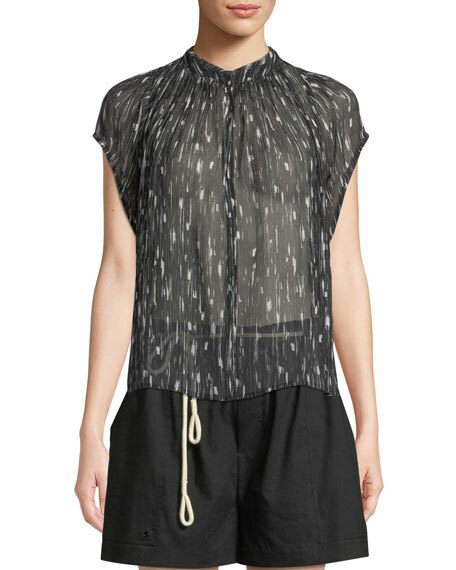 L'Agence "Gabriella" camisole top in sequin georgette. Approx. 22.9"L from shoulder to hem. V neckline and back. Sleeveless; adjustable spaghetti straps. Polyester shell and lining. Dry clean. Imported. Model's measurements: Height 5'9" / 175cm, bust 32"/81cm, waist 23"/58cm, hips 35"/89cm, dress size US 2.